This is the first of a 4 part series on self-care. Before we can talk about what self-care is, we have to talk about what self-care is not. Selfishness. Laying around. Going out. Retail therapy. Bottles of wine. Netflix. And although these things are fun, in and of themselves, these are luxuries and/or disconnections from the issues and tasks we have to face that exhaust us on the daily. Self-care is work. It is hard work. If you are a parent, you know what it means to care for a person. You have no doubt personally or participated in bringing a human into this world. Then you had to nurture and protect that life from conception until however old your kids are at this moment you are reading this post. It is a lot of work. Heck, my mom still takes care of me sometimes and I am 38. So when we discuss self-care, let me ask you this. Are you putting the same amount of work into caring for your own mind, body, and soul as you do for your children and partner? If your answer is no, keep reading. A human being is made of a mind, body, and soul and that equates to emotional, physical, and spiritual needs. 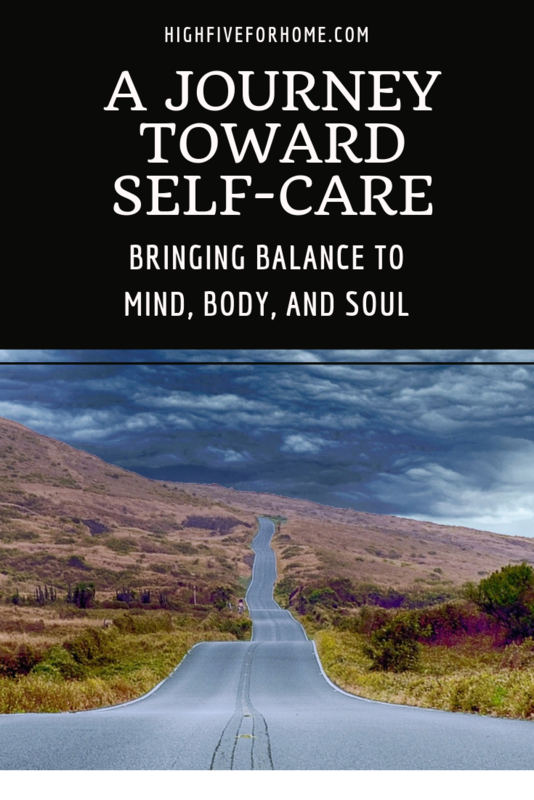 Self-care is recognizing the emotional, physical and spiritual cues to when your mind, body, and soul are out of balance and then addressing the need at the core. So the above examples may give a temporary escape from an overly stressed mind or body, but they are not the solution to our human needs. The flight attendant tells us to put on our own oxygen mask first because you CANNOT help another human being if you are not first helping yourself. You eventually run out of air and die. This is true in our lives on land as well. If you are a parent, you are more than likely doing for everyone else and our version of self-care is actually a short term escape from reality that hinders and stresses out our lives even more in the long run. We have to put on our oxygen masks to help others. We have to fill up our own cups if we want to pour into others well. Let’s look at our needs and ask a few questions. Am I reading, listening to, and watching things that are healthy and uplifting? Am I spending too much time on a screen? Am I having quality conversations with people? Am I getting sleep and exercise? Am I feeding my brain the food it needs? Am I spreading myself too thin on the to-do list? Am I moving my body around? Am I connected with God or a higher power? Am I involved with a church family or accountability group? Am I living and walking in my set of morals, principles, and beliefs? Am I in nature enough? Am I dealing with negative feelings and emotions and the root of their cause? Am I connected to something bigger than myself? Do I feel purpose and belonging within a community ? Am I showing gratitude for what is good in my life? This is just a starting point for evaluating your self-care plan of action. We will delve deeper into how to address these areas in later posts. Use the free printable evaluation to guide you in deciding where you should begin your self-care journey. Check back here in a few days to read how our journey begins in the mind and how it connects to all other parts of wellness. I hope this day brings you peace and joy. A Journey Toward Self-Care <<——-Click here to download the evaluation printable! Absolutely essential, but so easy to get stuck in a routine that doesn’t provide room for ourselves…especially when there are kids involved. Thanks for sharing this! Wife and mom life seem to take priority over being a fully functioning human being. We forget that we are better partners and parents when we work to be better people. Thanks for stopping by! Love love love this post. I too am all about self care. The self-care journey is key to overall wellness and fullness in life! I agree, Jessica! Thank you for stopping by! Loved this I have been in my own self care journey this yeR abs didn’t realize how much I neglected really caring for myself and how important it is body mind and soul! Keep pushing to be better! Your journey is important. Thank you for stopping by! Great reminder! Thank you for sharing this!